We regret to announce that this event has been cancelled because Her Eminence Jetsun Kushok isn’t able to travel to California right now. Any further information will be announced when it is available. EMPOWERMENT OF NAIRATMYA on August 25th and 26th. Vajra Nairatmya རྡོ་རྗེ་བདག་མེད་མ། is the ego-less woman, the partner of Hevajra. 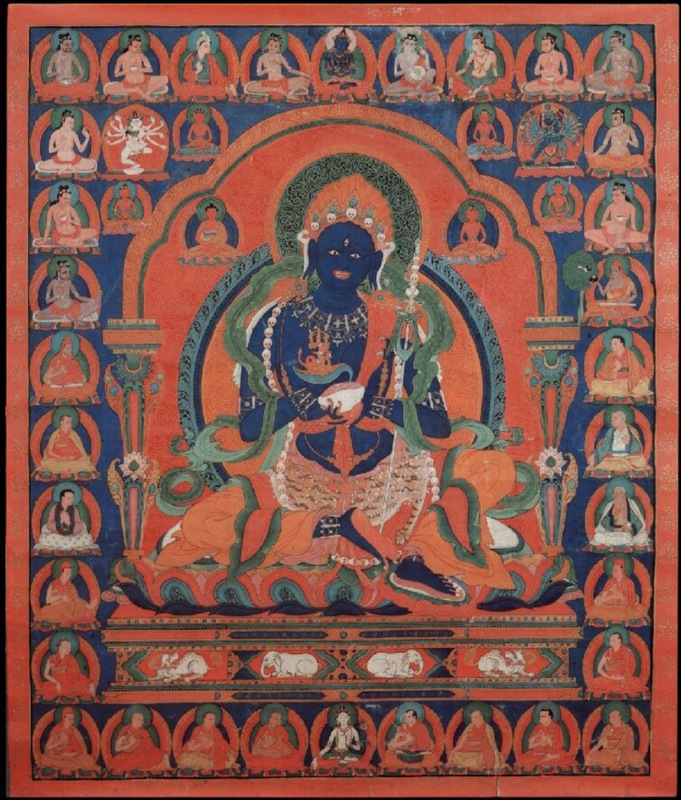 IMPORTANT INFORMATION–REGISTRATION IS OPEN NOW ONLY FOR PEOPLE WHO MEET THIS PREREQUISITE—You must have previously received an empowerment either of Cakrasamvara or Hevajra from a Sakya Lama. 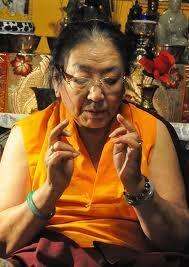 The limit of 25 “New” participants (never received Hevajra or Chakrasamvara only from a Sakya Lama) has been reached. If you are a “new” person and wish to be on a waiting list, send an email to Ewam Choden ( info@ewamchoden.org) . If someone cancels, the waiting list will be used. People who fulfill the requirement may register now. DATES, TIMES, PLACE INFORMATION The dates and times for this empowerment are Thursday, August 25 at 7 pm and Friday, August 26 at 4 pm. Plan ahead so that you can arrive in time. The total donation amount is $140. Dana (offerings) are separate. The location is the Gyuto Foundation in Richmond Heights, CA which is 10 minutes north of Ewam Choden. DO NOT CONTACT the Gyuto Foundation since it is our venue. You can see A MAP to the location CLICK here. There is a parking lot and easy street parking. REGISTRATION IS AVAILABLE BELOW FOR USING PAYPAL AND FOR SENDING A CHECK TO EWAM CHODEN. IMPORTANT ! PLEASE TAKE NOTE: While there are no prerequisites for this empowerment, there are some limitations. 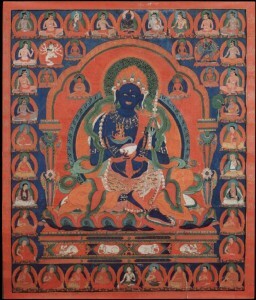 There is a limit of 25 persons who have never received the empowerment of Chakrasamvara or Hevajra from a Sakya Lama. This refers to a two-day empowerment. The empowerments of Vajrakilaya or Kalachakra do not qualify for this. There are no exceptions. When you register, you must answer the questions about having received the previous qualifying empowerments.